The ultimate prep ahead, no-bake summer dessert! 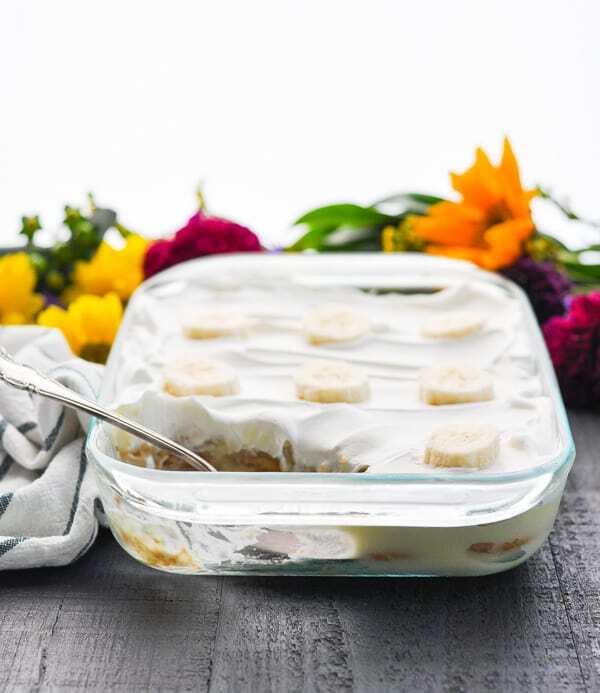 This Quick and Easy Banana Pudding just might be the perfect summer dessert! The no-bake treat requires just 5 ingredients and 15 minutes of prep for a cool and refreshing make ahead option. Who wants to slave away in the kitchen when you could be enjoying the warm summer weather? Heads up! This post was originally published in June, 2013. The photos were updated in June, 2018. Summer has absolutely arrived in Central Virginia! The signs? The 80-90+ degree heat, the smell of the honeysuckle growing outside my kitchen window, the boys enjoying their blueberry muffins for breakfast on the front porch, and the fact that the farmers are all out making hay. Casey has been in heaven watching the tractors non-stop. Another sign that summer has arrived? 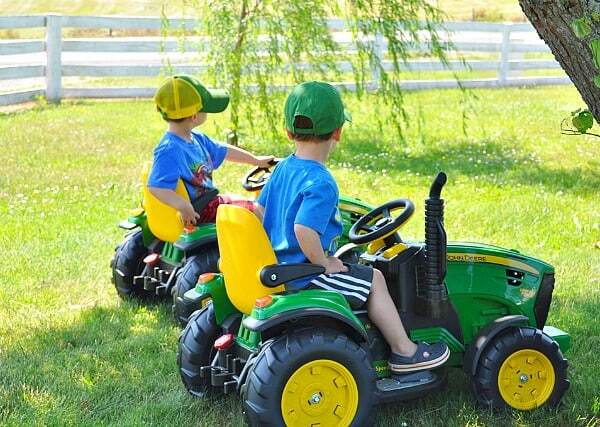 All three of my boys are busy mowing the grass and spending a lot of time on their own little tractors. In addition to mowing the grass, we have spent just about every afternoon at the swimming pool since it opened over Memorial Day weekend. The other day, the boys met their buddy Weston for a wet play date and picnic. 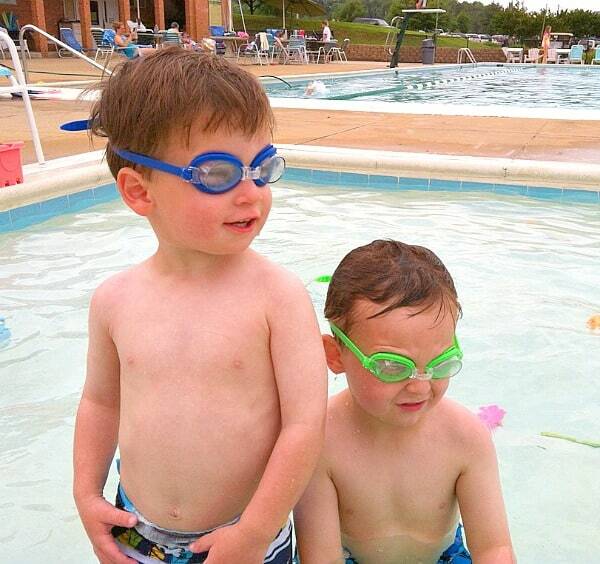 While the kids splashed around in the water, Weston’s grandmother, Linda, and I chatted about a variety of topics, including her entertaining menu for the upcoming weekend. 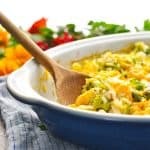 Linda’s oldest son was coming back home for a visit, so she had prepared a ham, potato salad, deviled eggs, and banana pudding in anticipation of his arrival. 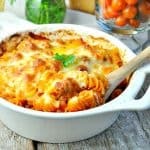 Doesn’t that sound like an ideal make-ahead summer menu? 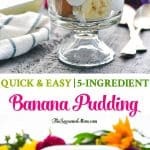 Especially the Quick and Easy Banana Pudding! I’ve been meaning to make this dessert for a long time, but Linda was the inspiration that I needed (that, and the ripe bananas sitting on my counter). 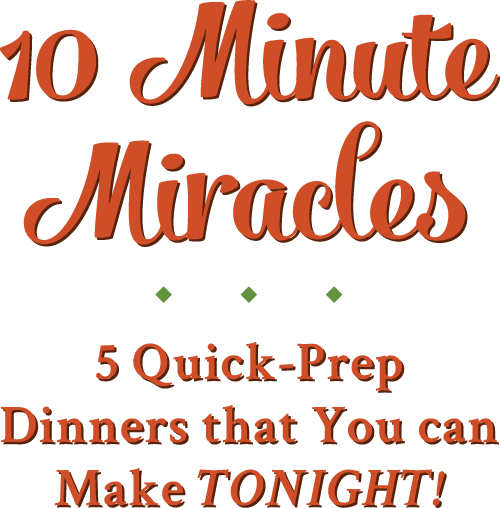 Her easy-to-prepare recipe ultimately convinced me. How do you make a banana pudding with vanilla wafers? Once your ingredients are ready, it’s just a matter of assembling the dessert and sticking it in the refrigerator. 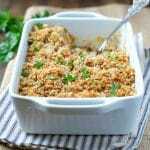 This make ahead dessert is especially convenient because you can prepare it in advance and it just gets better with time! 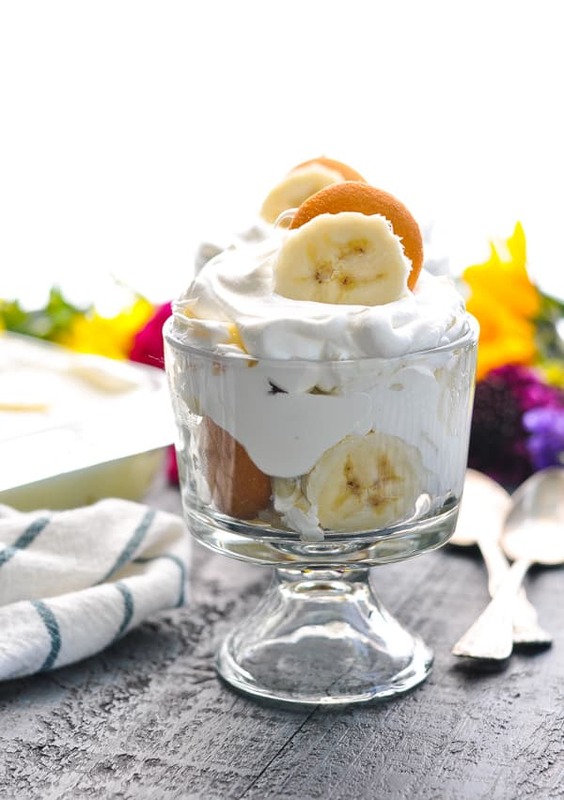 Allow at least one hour for the vanilla wafers to soften in the Banana Pudding, but the dish can sit in your refrigerator overnight, if necessary. 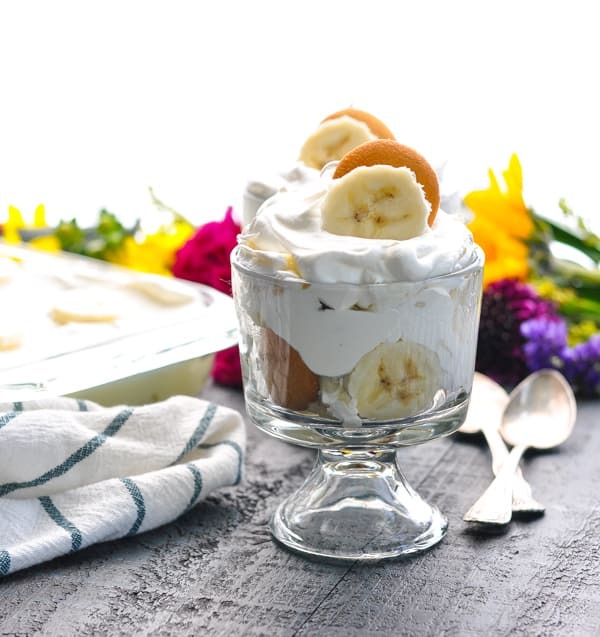 How do you keep bananas from turning brown in banana pudding? If you make the dessert just a few hours in advance, you don’t need to worry about the fruit turning brown. 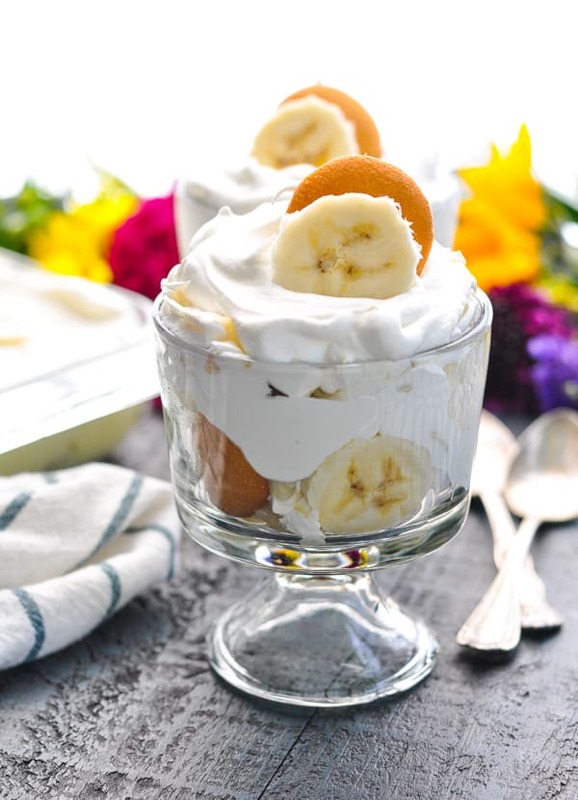 However, if you prefer to assemble the banana pudding the day before, I would suggest treating the banana slices with citrus juice (such as lemon juice or orange juice) to prevent the oxidation that causes the unappealing brown tint. Be careful not to use too much citrus juice, though. 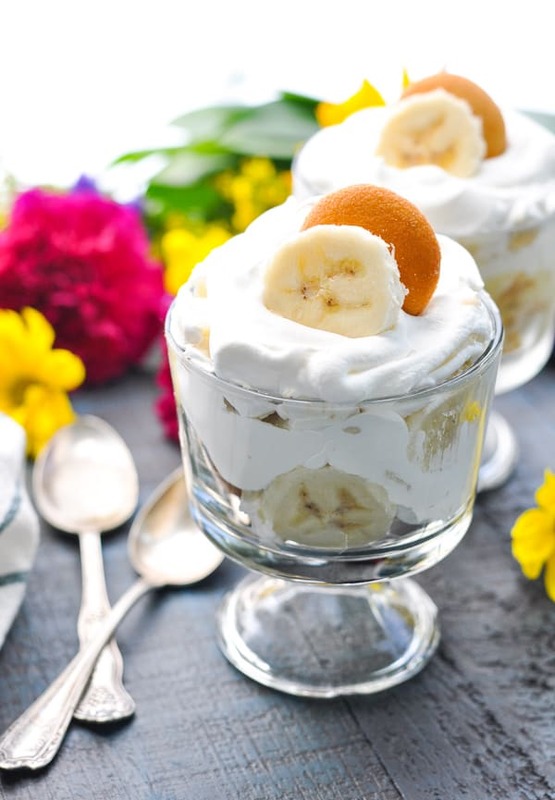 You don’t want your banana pudding to taste like lemon pudding. Instead, just brush the juice lightly onto the fruit or spritz them with a spray bottle. In other words — use as little juice as possible. Also, be sure to wait until the last minute to garnish the top of your banana pudding. I like to add banana slices or extra vanilla wafers on top, just before I bring it to the table. 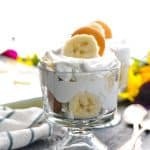 If you’ve tried this Quick and Easy Banana Pudding or any other recipe on The Seasoned Mom, then don’t forget to rate the recipe and leave me a comment below! You can follow me on Facebook, on Instagram, on Pinterest, and on Twitter! Prepare pudding according to package instructions. Refrigerate and set aside. Place vanilla wafer cookies in a single layer on the bottom of a 11 x 7-inch baking dish. I used 24 cookies for each layer. Use a spatula to spread half of the prepared pudding (approximately 1 cup) over the cookies. 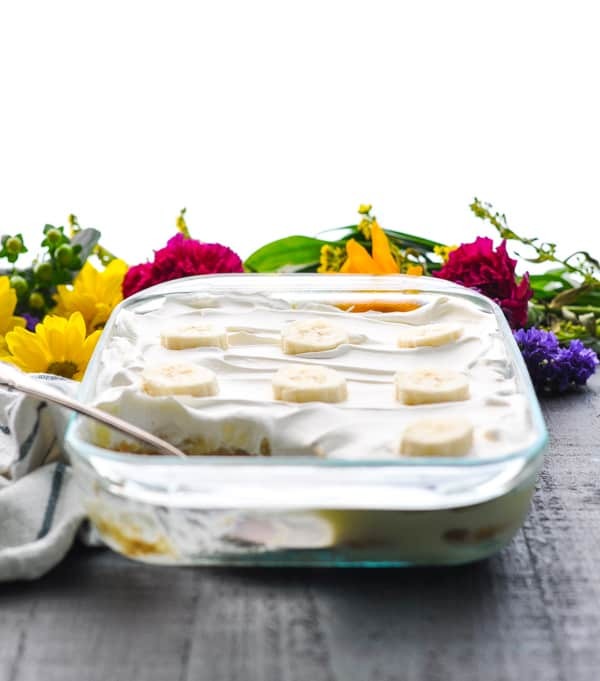 Top pudding with a single layer of banana slices. Repeat layers, starting with cookies. 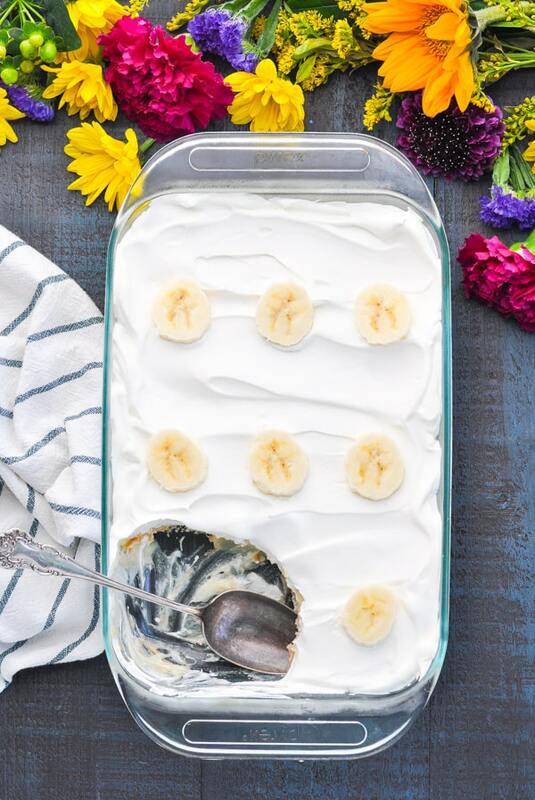 Top final layer of banana slices with whipped topping. 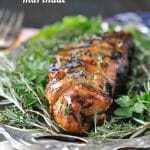 Refrigerate at least one hour, or until ready to serve. Just before serving, garnish with extra vanilla wafers and sliced banana, if desired. For purposes of calculating nutrition information, I used sugar-free instant pudding mix and skim milk, as well as Lite Cool Whip. If you use other varieties of pudding and whipped topping, the nutrition facts will change. Can you make the banana pudding without the cool whip? Hi, Margaret! I just use the standard size (not the giant double-sized tub). Hope that helps! 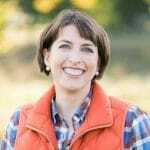 Hi, Martha Jo! I have not, but I’m sure it would be delicious! Thanks, Darlene! So glad that you enjoyed it!